This very belated post is a quick update on the conference, the date of which is looming! We all hope that it will prompt you to sign up to join us on Saturday 5th July – and perhaps to join us for friendly pre-conference introductions and chats on Friday night 4th July, too. 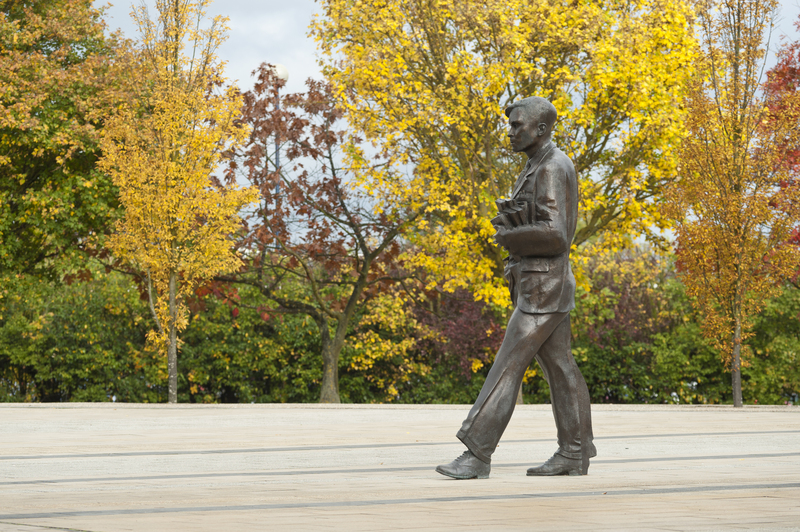 The good news is that Surrey University has agreed to hold its prices at last year’s level. That means that overnight stays will cost just £33 pp per night (in single rooms with en suite facilities) and day conference attendees will pay just £38 including all conference costs, a buffet lunch and three coffee/tea breaks, plus a parking voucher for use on campus – all excellent value, I hope you agree. This year our bar and buffet evening meal will be in adjacent rooms, with LDA signage on the doors so that we can all find the location more easily. And our accommodation key pick-up point will be from the same location (Hillside) as the bar and meal, which will make it both easier for the conference team to man and easier to explain to delegates about where to head for on arrival, we hope! We will again have sponsored drinks on arrival on Friday night, as it helps to break the ice to have a glass of wine with acquaintances both old and new at the end of the week, in readiness for the conference the next day. I do hope that more of you will consider staying on Friday night and perhaps Saturday night, too, as it makes things so much more relaxed and allows everyone to get more out of the weekend, to brainstorm more ideas, etc. There will certainly be plenty to discuss – please get your thinking caps on! The campus at Surrey University is glorious, with trees and flowers galore and fountains playing. 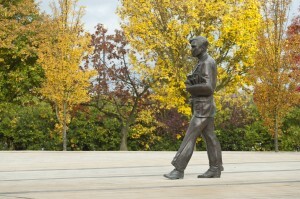 A bronze statue of Alan Turing, of Enigma Code fame, gleams gently just outside the Austin Pearce Building. I found it moving to realise that someone who’d faced so much adversity despite his brilliance and his success in helping us to win World War II was celebrated in this way, within sight of our meeting rooms. Let’s hope that our brilliant conference speakers will help us all in our personal battles against adversity! The conference is a great opportunity for us to learn more about what’s going on in the wider Lyme world and to discuss – and to have input into – how your Trustees are planning to tackle the many problem areas in gaining treatment for Lyme disease at an early stage. Booking for the conference is open – just click on the link on the home page of www.lymediseaseaction.org.uk. And, if you prefer, do please ring the telephone number given in the conference information pages and one of the team will gladly help you to book your conference place/s. We look forward to seeing you in just five weeks’ time!